The Biro business model first emerged in 1992 as Biro 2000 d. o. o. and served as a subtitling service provider. However, due to great demand, we initiated an expansion that broadened our services to include every aspect of the translation process, including translation, editing, localization, desktop publishing, and subtitling. Then, in 2010, we transformed our trade name to birotranslations to better reflect who we are and what we do. 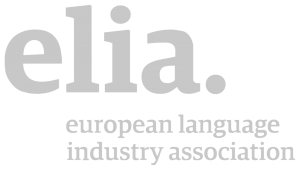 Our mission is to offer clients and customers competitive, professional translation services into East European languages. Our talent pool is rich and diverse and we regularly invest in them to insure they’re confident and competent to meet the demands of our evolving translation and localization services. What sets us apart from other translation firms, not only here but abroad as well, is not eons of experience or a huge human resource talent pool. Instead, it’s our commitment to the personalized, kid-glove treatment we offer to each and every company we work with. We know that high-quality translations aren’t necessarily the fastest or the cheapest translations, but instead the ones that meet the highest standards of terminological and cultural relevance regarding intended markets. Due to this singular focus on results, we do our utmost to meet the unique needs of each client from multiple industries and sectors, while delivering comprehensive services at an unmatched level of excellence. For over two decades we have been hand-picking knowledgeable specialists in East European languages, so we can offer you the best that the market has to offer. We are a financially stable company with an AAA rating. We value relationships – with our custumers as well as with our suppliers. Our experienced Project Managers have extensive knowledge of translation project management and CAT tools. Our membership of professional associations keeps us up-to-date with the latest industry developments. 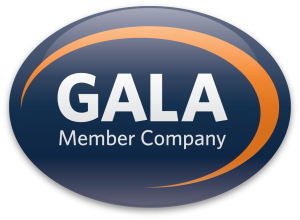 Memberships with professional organizations and associations serve to help companies remain on the cutting edge of their particular sectors and industries. In addition to offering access to “inside information” via exclusive newsletters, magazines and journals, members are able to gain access to tools and resources that enable them to provide their customers and clients with nothing short of excellence, innovation, and superior service.